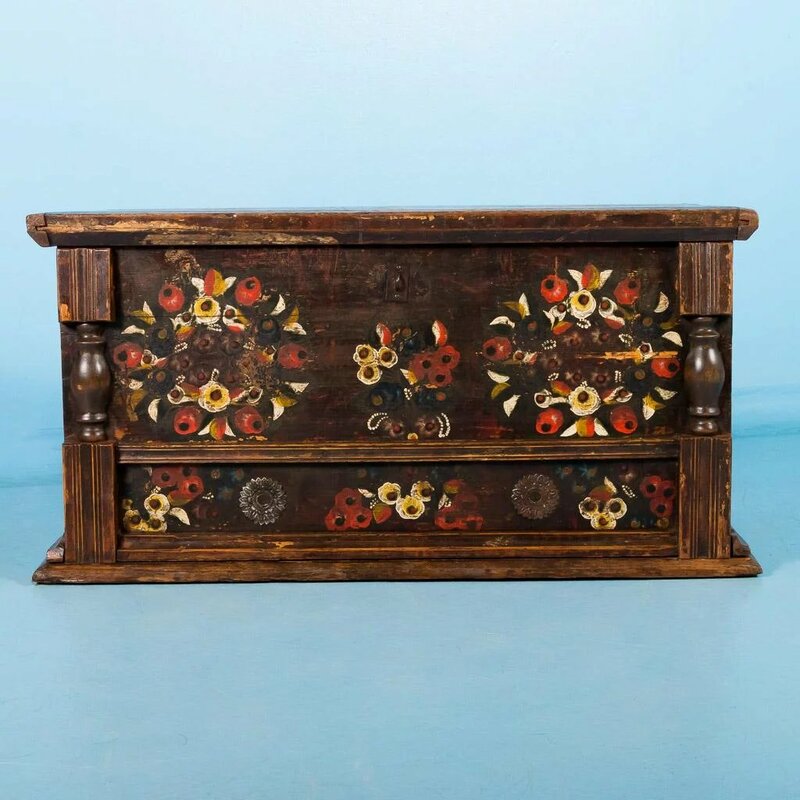 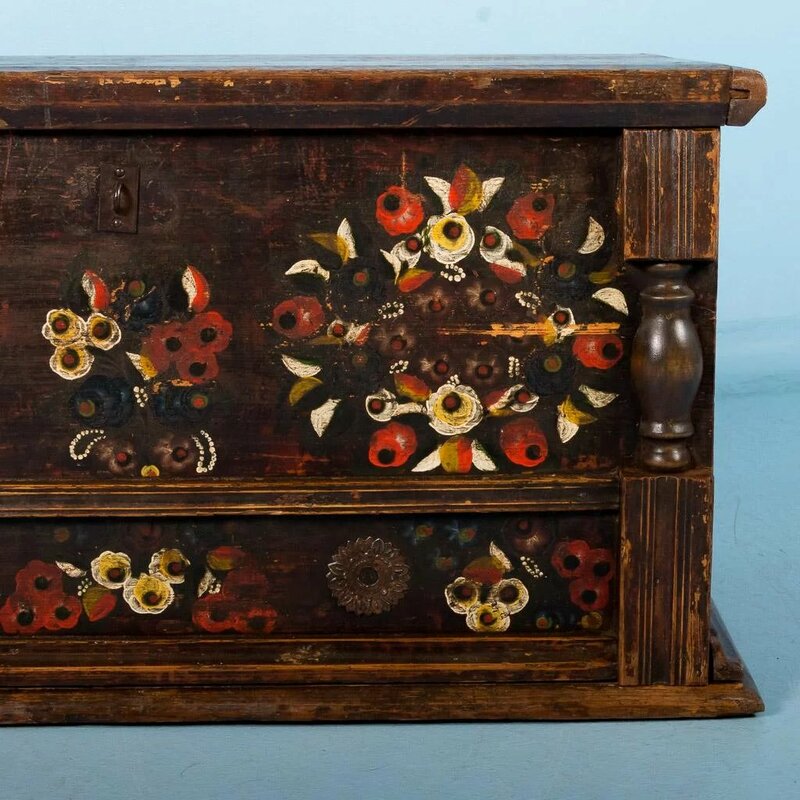 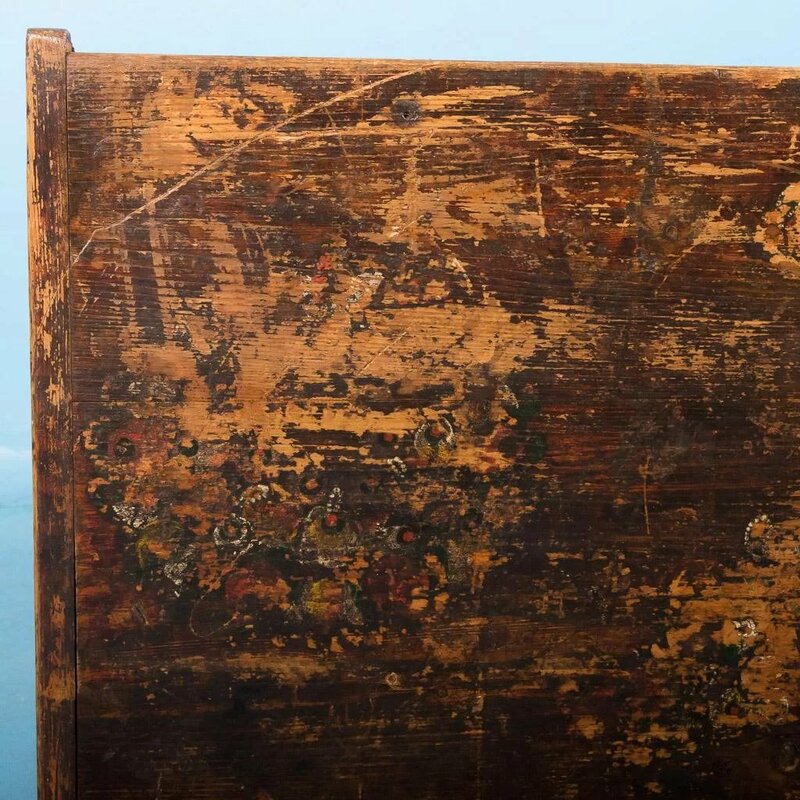 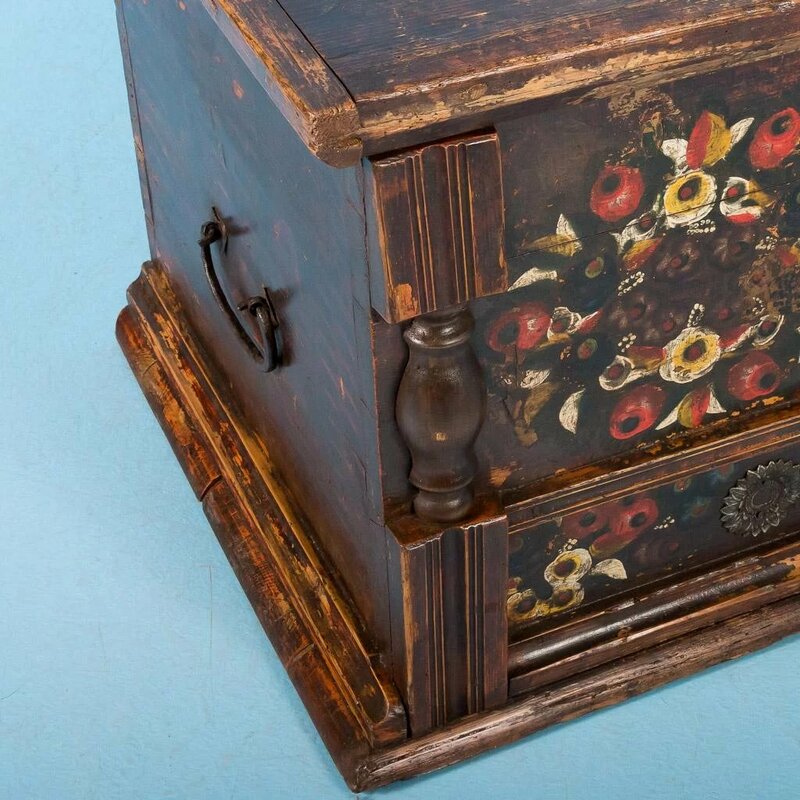 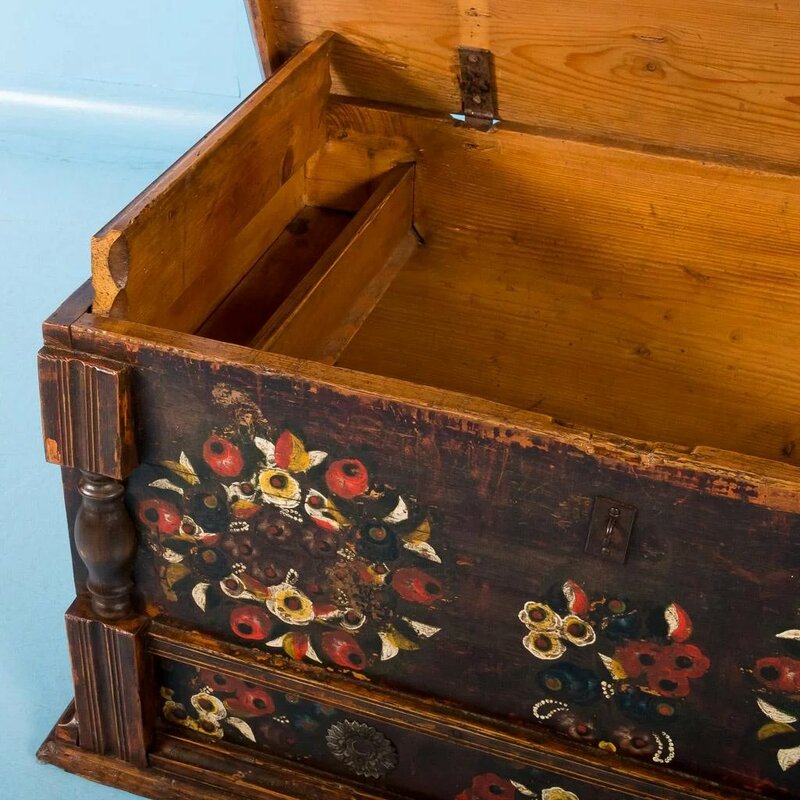 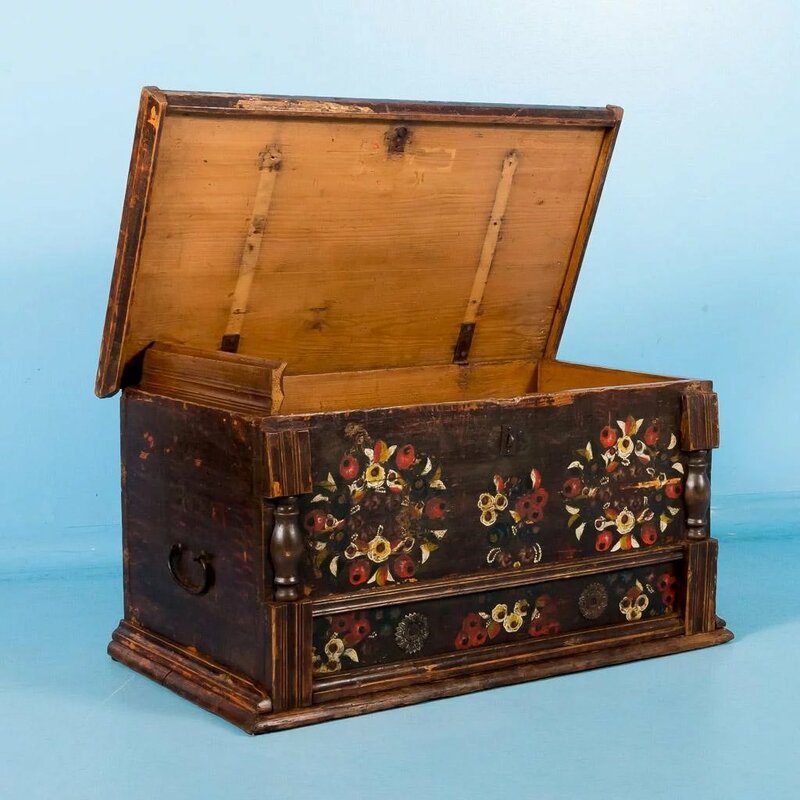 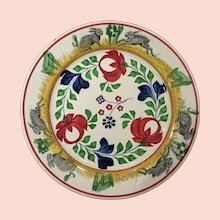 This original painted brown trunk from Hungary has a traditional Folk Art flower pattern that includes colors of red and yellow. 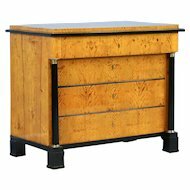 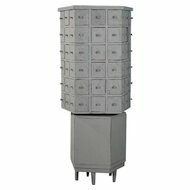 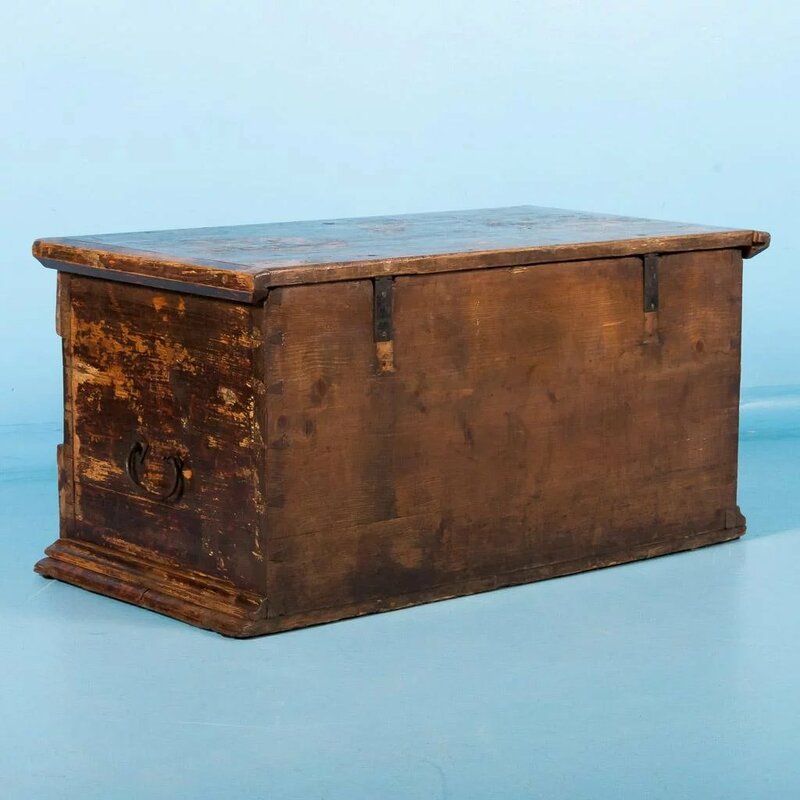 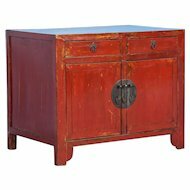 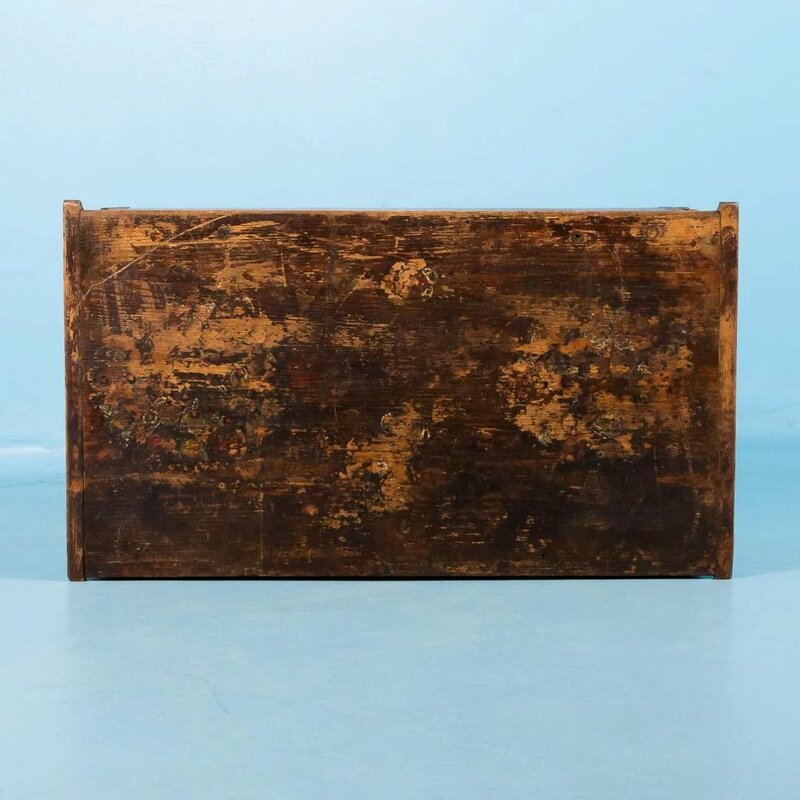 The false drawer below is flanked by a half column detail and inside the top is a small utility box, that when opened, can also serve as a lid support. 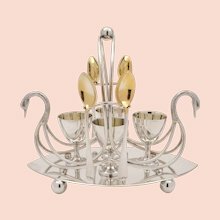 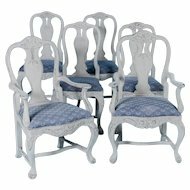 European charm, a touch of romance, and functional quality meeting the needs of today's home. 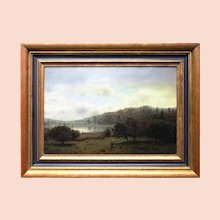 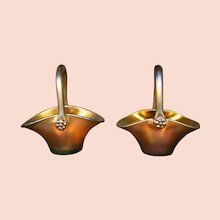 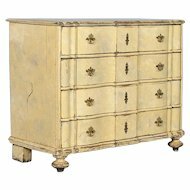 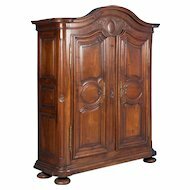 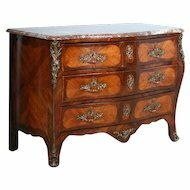 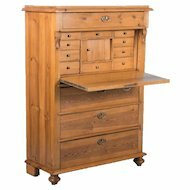 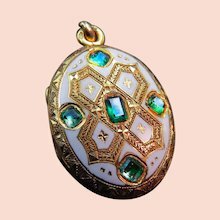 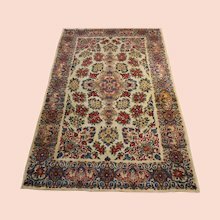 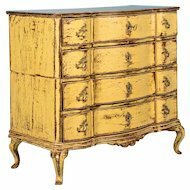 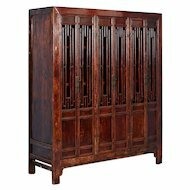 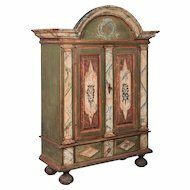 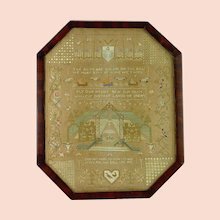 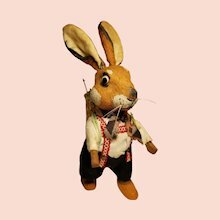 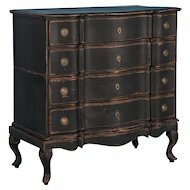 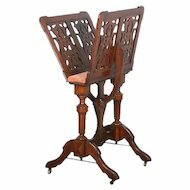 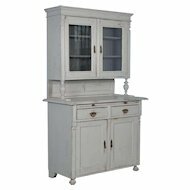 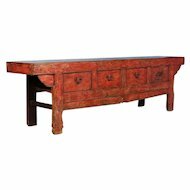 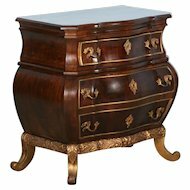 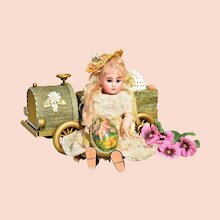 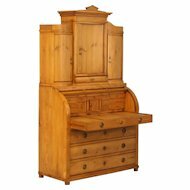 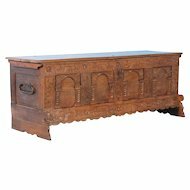 Bringing you over 30 years experience with European antique furniture and collectibles.